The social aspect of the game badly needed an overhaul. It was a one way system of just adding friends and not managing them. Looking at other people’s garage was the only thing that was in-game. This project is part re-skin and part update and addition of some features. The basic function of the social feature will stay the same. 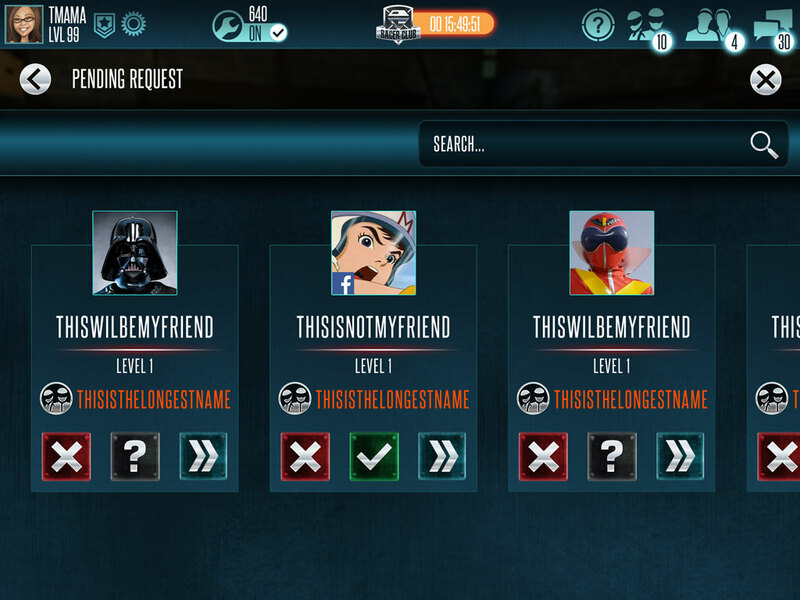 Additional features on the friend’s list page is managing the user’s friends through the “Friend Card.” The Friend Card allows you to block, accept, reject, and view the friend’s profile. Final design is within context of each feature below. This is where the user’s friends are listed in. 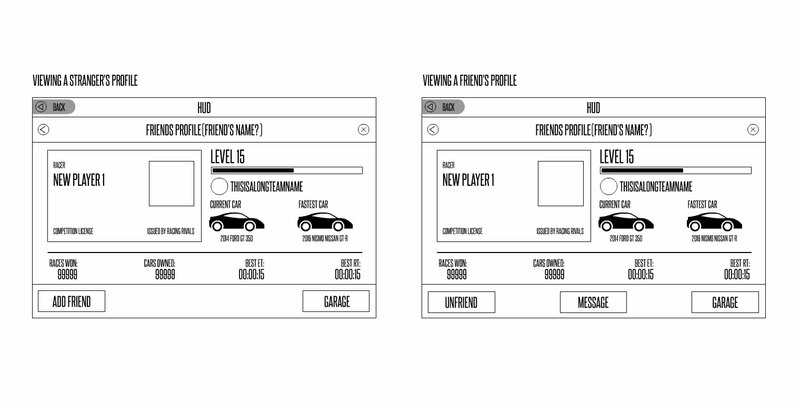 The user can view their friends’ profile, and block/unblock them or accept/reject friend requests. 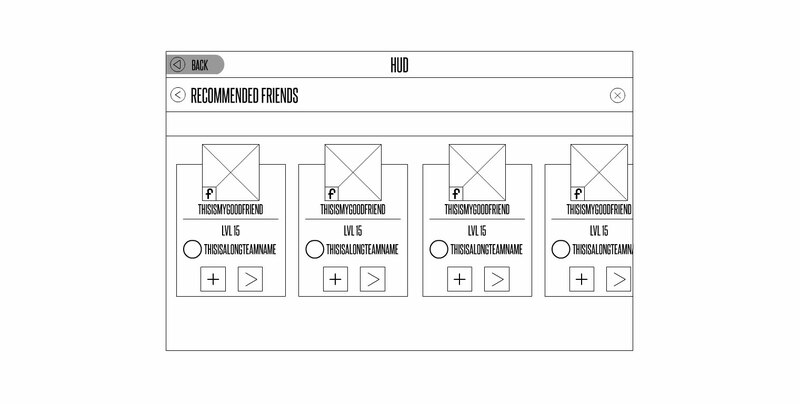 Pressing the recommended button on the lower right side of the social manager screen will lead the user to the Recommended List. 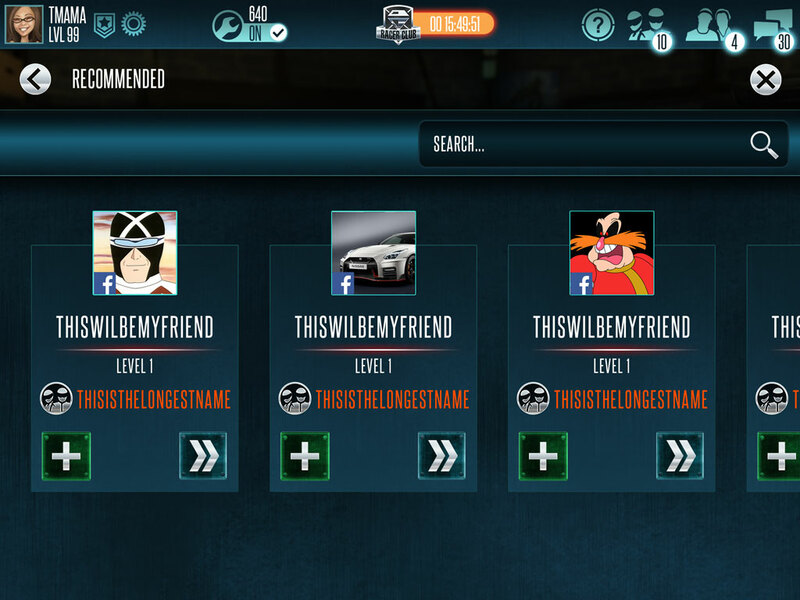 This list is basically pulled from the user’s Facebook friends (if connected), who plays Racing Rivals. 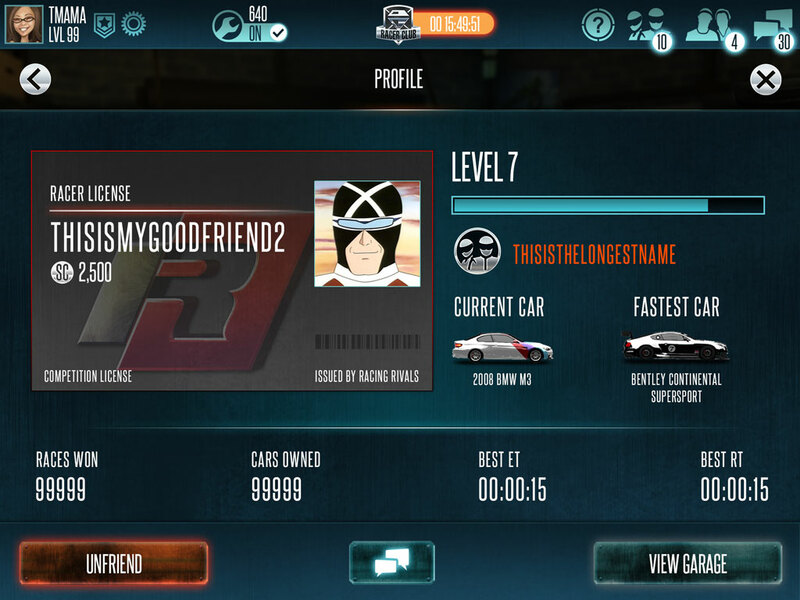 This sub-feature aims to connect the user to other Racing Rivals players in their network. Each Facebook friend is identified with a Facebook icon on the lower left side of their portrait. 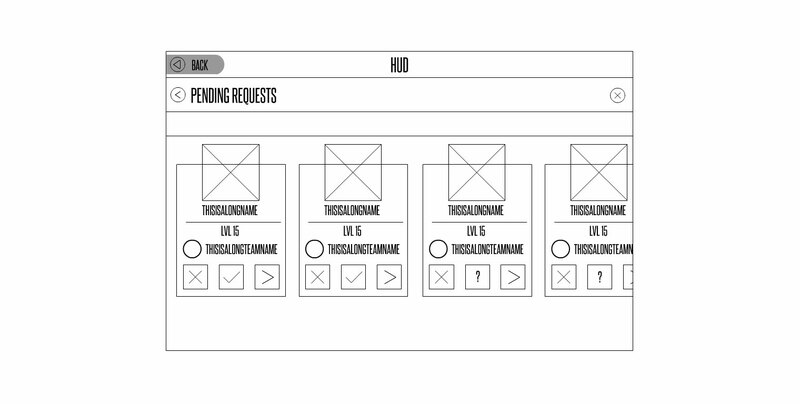 We designed a dedicated pending request list to avoid clutter in the main social manager page. I was also advised that it is more efficient for programmers to do it this way. This list shows the user all requests made and sent. 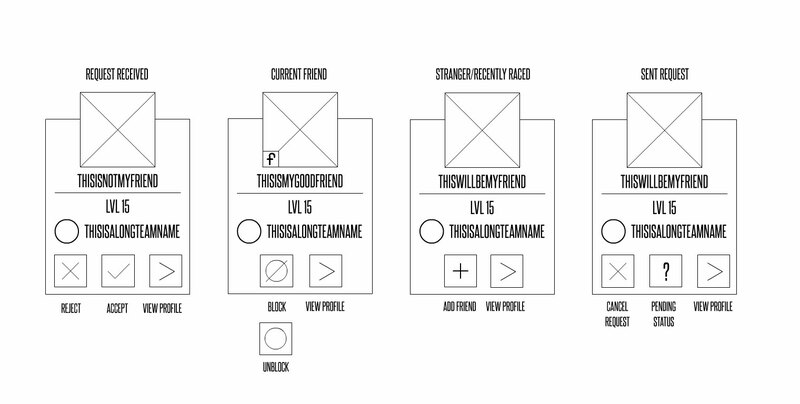 The Friend Card with a question mark in the middle means it’s a request sent out and waiting for approval and the one with a check mark means it’s a request that the user receives and waiting for approval/rejection. The current flow of the social manager is to view the garage of each user. 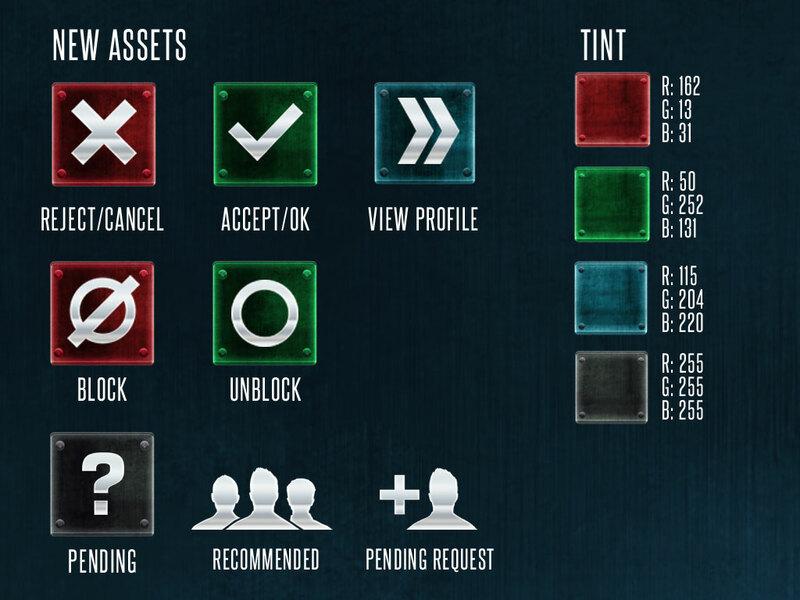 The garage is where the user can block or unblock a certain individuals, or send them private messages (only when online), but going directly to the garage will load the 3d asset and it takes too long for some users. 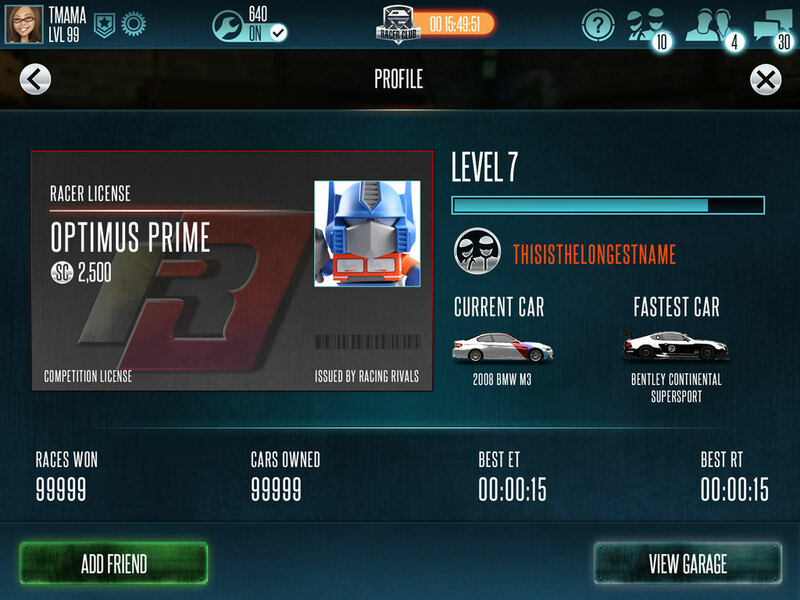 The Friend Profile is designed to cut that flow of going to the garage. The user can still go to the garage only if they want/need to, but all the friend managing, block/unblock, unfriend, and message will all be done on the profile page. 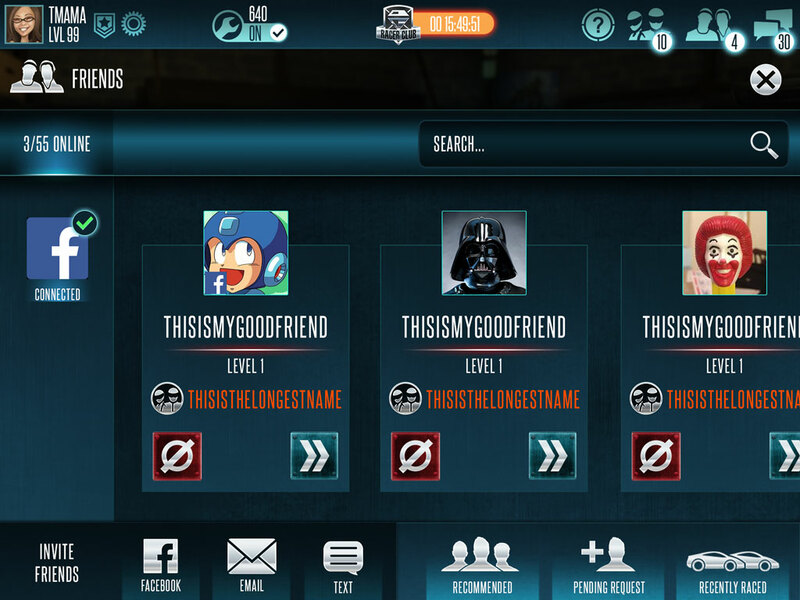 The user can also view the friend’s stats here.